This past week, the East Coast Gaming Congress met in Atlantic City to discuss the gambling industry in general, including the US iGaming industry. While New York has yet to move forward with any real piece of meaningful legislation, several panels during this Congress gave light into how the industry is progressing as a whole. 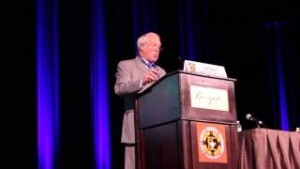 The first day of the Congress focused heavily on iGaming with a lot of that focus on New Jersey. The Garden State has been viewed as the gauge for the rest of the nation and while first year results were less than anticipated, executives from several casinos appeared pleased on the outcome. While some industry analysts and anti-iGaming lobbyists focused solely on financial results from New Jersey in 2014, others focused more on social and customer concerns. Jim Ryan, CEO of Pala Interactive Gaming, insisted that the insane estimates given for New Jersey are irrelevant. According to Ryan, the primary focus of providers in New Jersey was consumer protection and that revenue was merely a “secondary measure.” New Jersey has been the poster child for Geolocation and identity verification technology and so far, the state boasts that there have been zero instances of underage gambling thanks to their technology. Ryan believes that the goal of casinos were met in year one. Rebecca Satterfield, representative for the Delaware State Lottery, shared similar opinions as Ryan. Delaware uses 888 Holdings as their single source provider, the same company powering WSOP.com in New Jersey and Nevada. Tom Ballance from the Borgata stated that they were very happy with how iGaming has progressed with the company. He stated that the Borgata go into iGaming with very little investment and has already proved profitable. With the economic crisis gripping Atlantic City, the Borgata is happy to pull a profit wherever they can. One of the top concerns by some industry analysts were that iGaming would take away from the customer base of brick and mortar casinos. They argued that it would be simpler to stay home and play rather than go to the casino. The opposite has proven true. According to Thomas Winter from the Golden Nugget and Tom Ballance of the Borgata, approximately 80% of those playing online are new to casino gambling. They are also anywhere from 15 to 20 years younger than their brick and mortar customers. In addition, customers playing online in New Jersey are staying loyal to the product and actually outperforming customers in other parts of the world. Ryan pointed out that the average international player stays with iGaming from 3 to 4 months. New Jersey players are already exceeding this mark, which speaks highly of the product. In 2015, New Jersey is currently enjoying growth of 11% year-over-year for iGaming. Table games are up over 30% through April. While online poker is currently in a bit of a slide, there is a course correction expected once PokerStars enters the industry in the fall. New Jersey’s strong performance is already prompting Pennsylvania to explore iGaming and continued strong performance could force New York and other states to jump on board or risk being left behind. While the industry is in its infancy, continued growth is inevitable despite the best efforts from anti-Gaming groups headed by Sheldon Adelson. Keep in mind that some growth may be slow but as the popularity of the product grows, so will the industry. 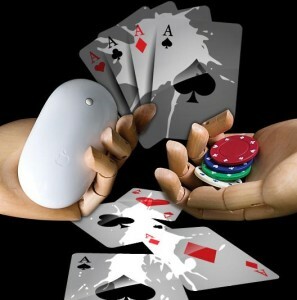 Tagged New Jersey Online Poker, New York Online Poker. Bookmark the permalink.